As you know, in recent years, White Hills Park Trust have been working on ambitious plans to rebuild Bramcote College as an all-through 11-18 school, to be funded by the sale of former playing fields on Coventry Lane. I know that parents will be keen to know how the project is progressing. Although it has been frustrating that we have had little visible progress in recent months, I would like to reassure you that we have been working to secure the necessary permissions and prepare the planning application. There have been a few significant steps in recent weeks, all briging our new school closer to reality. Firstly, an independent valuation of the land commissioned by the County Council has confirmed that there is little doubt that its sale will raise sufficient funds for the rebuilding – although we have always been working on that assumption, the formal valuation provides security for all parties. Secondly, Broxtowe Borough Council have completed their Local Plan, setting out their future planning policy. We have also begun to have significant interest from developers, and a number have now visited the site, confirming the great potential there is in the area. Nottinghamshire County Council, who are proactively engaging with us to deliver our high-quality, fit for purpose new school as quickly as possible. 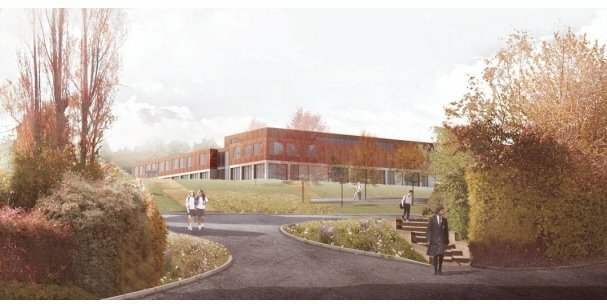 I would like to thank parents for your patince with us – I know this has been a long road, but the new school year will see rapid progress towards making our new school a reality. I understand the need for a new school but find it incredibly sad that one of the few green open spaces in the area is going to be completely lost. This land could have played a significant part in increasing healthy activity in the local population. Despite the notices, it is already used widely by dog walkers, footballers, archers, kite flyers, joggers and just families playing around together. I walk through the woods regularly and see the wildlife in there and this will also be lost. Will there be community facilities provided for the hundreds of people who are now going to live on this site? Primary schools? Shops? Sports facilities? Allotments? What proportion of the new homes will be affordable housing? There are massive amounts of brownfield sites not so far away e.g. on Glaisdale Drive and Wigman Road, which have been empty for years and are a complete eyesore. They may not be in the Broxtowe area (I’m not sure) but could surely contribute to the total housing stock for the city. I know developers prefer greenfield as it is easier to develop, but we must push for what’s best for the whole community not just what’s more convenient for developers. I also question the probity of gifting such a valuable piece of land from the people of Nottingham to the privately owned academy trust. This is our land. Can any one tell me why we should trust the following planning condition? Recent events have demonstrated that such conditions can be ignored by all sides and there are no repercussions for breaching. Paul, thanks for this. You mention the number of homes has increased to 500 (previously 300). Why is this, and who made the decision? Can you enlighten us please? This is what happens when schools become academies rather than remaining administered fully by an education authority. Extract from the quote: “Nottinghamshire County Council are fully committed to working with the White Hills Park Trust to secure the redevelopment of a new school at Bramcote….”………BY USING GREEN BELT LAND.